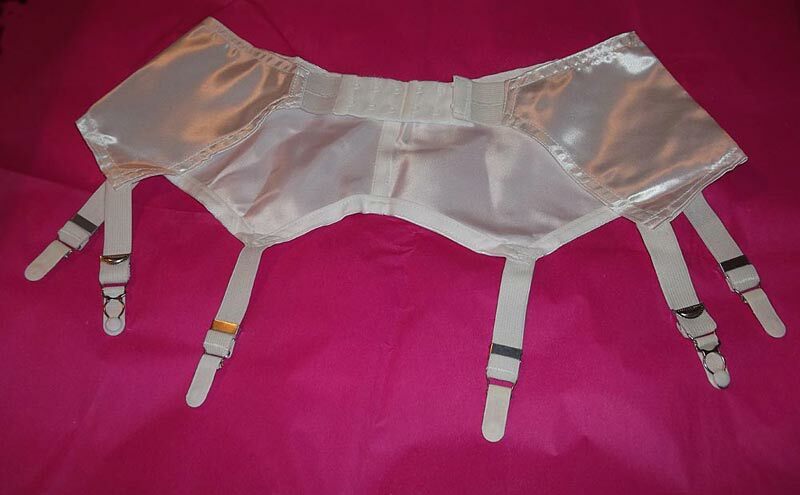 Vintage style satin 6 strap suspender belts taken from a copy of an original pattern. Available in white or black satin, these top quality belts combine the retro glamour of the 40's and 50's with practicality, keeping stockings firmly in place with wide elasticated suspender straps and nickle free metal clasps. They come in 3 sizes with a choice of 6 hook and eye closures at the back which will fit most women. Material: 80% Polyamide, 15% Spandex, 5% other.